This year the RSPB’s Big Garden Birdwatch takes place over three days for the first time, running from Saturday 28 January to Monday 30 January, this means that if you are busy over the weekend or the weather is bad you still have the option to take part on the Monday – you could even do it at work in your dinner hour! The Big Garden Birdwatch has now been going over 35 years, it originally started in 1979 as a Winter activity that junior RSPB members could get involved in, Biddy Baxter who was then the editor of Blue Peter liked the idea and featured it on one the programmes, the response was amazing with over 34,000 people sending in their forms, it wasn’t until 2001 that adults were invited to join in the fun too. Schools can take part in the Big Schools Birdwatch anytime before 17 February 2017, either as a whole school or in classes; the Birdwatch is suitable for all ages and abilities and an invaluable educational activity which allows pupils to get closer to nature and become aware of their environment and its wildlife. 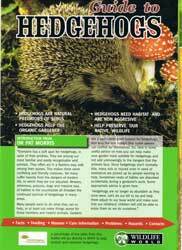 Visit the RSPBs website and register for your free pack which is full of fascinating facts, tips and advice. Make sure that you have plenty of bird feeders and bird food available in your garden; it is recommended that you feed the birds throughout the year and not just for the Big Garden Birdwatch or during Winter. 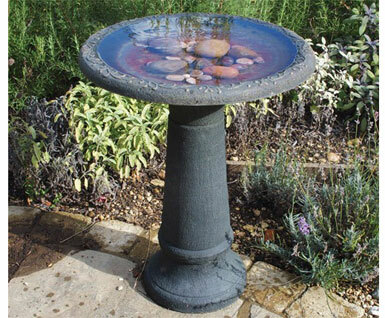 If your bird feeders have been out at while it may be an idea to give them a wash before filling them up, this applies to your bird baths also as good hygiene and clean water are very important. On the day – Find somewhere warm, dry and comfortable to view the birds, have a pen, your checklist/pad, a pair of binoculars and friends/family who can also look for birds. What to do – For one hour count the maximum number of each species that you see at any one time, this means that you are less likely to double count the same birds. 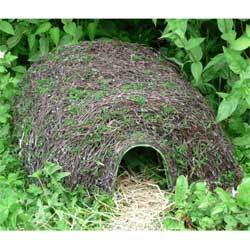 Keep watching closely there are many other species that may visit your garden especially if the weather is cold. Send in your Birdwatch results to the RSPB by 17th February 2017. 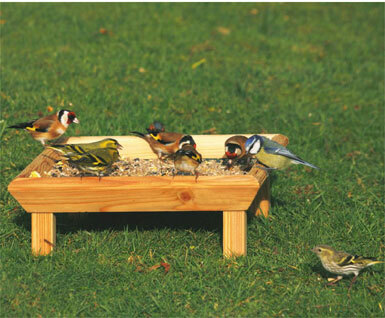 For more information and advice on feeding the birds in your garden click here. We are all familiar with our summer migrants the Swift, Swallow and the House Martin who come to Britain to breed and escape the harsh African, yet did you know that tens of millions of birds arrive in Autumn from their breeding grounds to escape the bitter cold weather and a shortage of food (hidden under ice or snow) to spend the winter in our mild climate. These birds travel large distances from the north and east (Scandinavia, Northern Europe and the Arctic) and include Fieldfare, Redwing, Mistle Thrush, Brambling, Robin, Starling, Blackbird, Bewick’s Swan, Whooper swan, many types of ducks, wading birds and geese including Pink Footed Geese who fly very high in a V-shaped formation called a ‘skein’. Brent Goose – Over 120,000 arrive October onwards from the Canadian Arctic flying 19,000 miles to the UK, overwintering mainly in Ireland. Bewick’s Swan – Over 7,000 arrive October onwards from Siberia flying 2,500 miles to the UK. Fieldfare – Over 720,000 arrive October onwards from Scandinavia and North West Russia flying 1100 miles to the UK. Many birds arrive on our shore hungry and exhausted, some make emergency stops on their journey and rest on oil rigs and boats out at sea (as seen in this year’s Waitrose Christmas advert). You might be surprised to hear that Robins, Blackbirds and Starlings are winter migrants as we see them throughout the year, in the UK we have our own resident populations but during the winter their numbers are boosted by birds escaping the extreme cold of Eastern Europe. 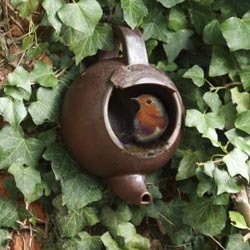 These visiting birds act differently as they are not used to their new surroundings and having people nearby, they skulk in the undergrowth and near the feeders before darting out for food they are easily frightened unlike our residents that dive on the feeders, they will after time adjust to their new environment and become more confident. We all know the importance of feeding the birds throughout the cold winter months, knowing that thousands of winter migrants are coming here to feed makes it even more important, if you haven’t got any birdfeeders in your garden now is a good time to invest in some, they are inexpensive and will provide many hours of pleasure for you and the birds! 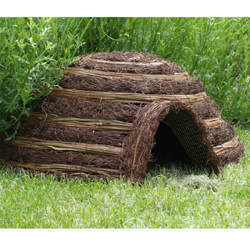 It is a good idea to put up different types of feeders that will hold a variety of bird food, peanuts, sunflower seeds, sunflower hearts, mixed bird seed, fat balls and mealworms, different types of food will attract more species of birds. If you are fortunate to have an apple tree or maybe know someone who has, store any surplus apples now to put out later on for the ground feeding birds, this year has been a very good year for fruit. 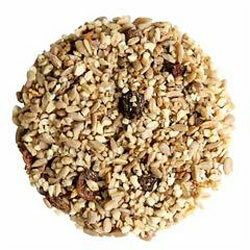 Some kitchen leftovers can be put out for the birds these include grated cheese, cooked potatoes, rice or pasta, porridge oats, fruit, biscuit and cake crumbs. 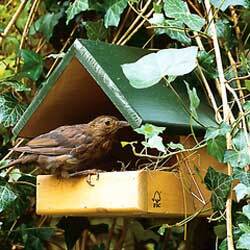 Water is just as important as food, fresh water changed regularly will provide birds with drinking and bathing water. 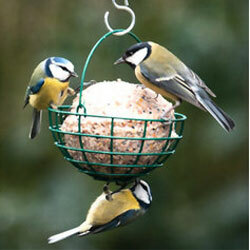 For more information on feeding birds through the Winter click here or to see our range of bird feeders click here. 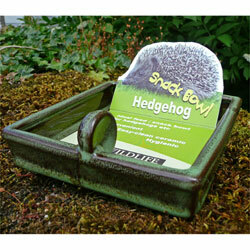 This weekend make time to put up some bird feeders in your garden.